Mold growth may be the last thing on your mind when you think of threats to your health and your home. However, inhaling or touching household molds - whether its the black spots on your shower curtain or white patches on the basement floor - can irritate the eyes, skin, nose, throat and lungs. According to the Center for Disease Control (CDC), mold is everywhere. It can enter the home through open doors, vents, windows and other systems. Mold outside can also enter the home by attaching onto clothing, shoes, bags and pets. 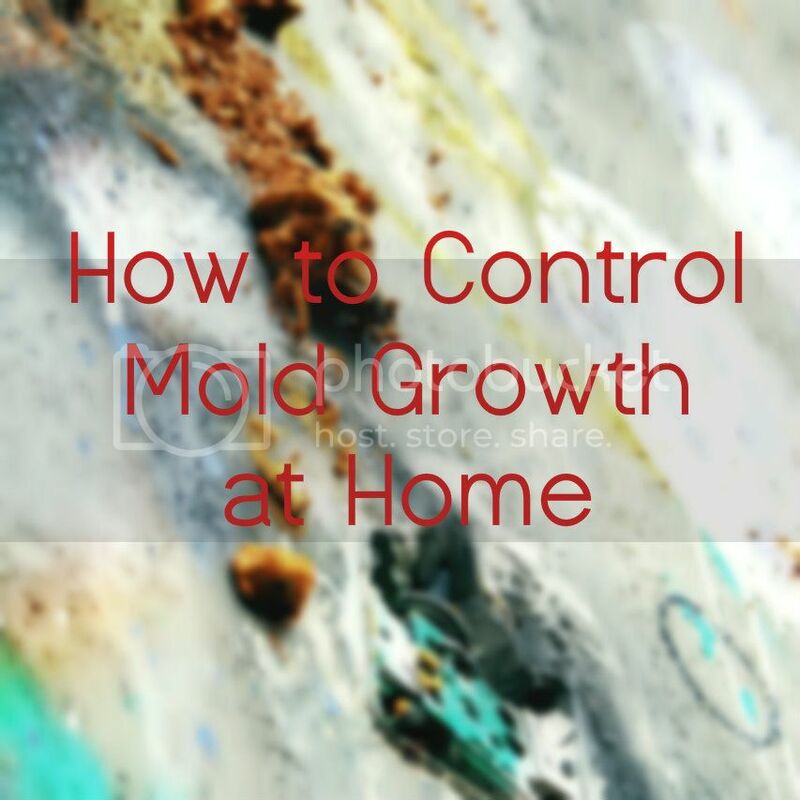 While it is impossible to prevent mold exposure, there are a lot of ways to control its growth. One important thing to note is that mold needs moisture, food and warmth to flourish. That’s why you can see it accumulating around leaks in roofs or pipes or where there has been flooding. It also grows well on organic products such as paper, cardboard or wood. It also thrive in paints, dust, fabric and furniture. Check for leaks around pipes, sinks, air conditioning units, refrigerators and other sources of water, especially in the basement. Have them repaired if necessary. Empty and clean refrigerator drip pans promptly. Avoid leaving damp clothes in the laundry basket. Wash and dry them promptly. Most mold need 24-48 hours of moisture to begin to grow. Make sure to dry wet areas within the day to prevent mold growth. Much of the country needs more water right now. Everyone knows about the California drought, but other spots of the US are in need of water as well. Even where I live in Massachusetts is "abnormally dry" and spots are in a moderate drought. When it comes time to print something, take fonts into consideration. Most people don't think about fonts, but certain fonts use more ink than others. The smaller the surface area of the font, the less ink it uses. The standard Times New Roman is usually a decent choice because the letters are thin. There are even certain fonts purposely designed to use less ink! This is an update of a previous Green Father's Day Gift Guide. Happy Father's Day to all the dads out there...and here are some gift ideas for their families! At the bottom there are some new additions. No need to have the summertime blues this year -- let's have the summertime greens! There are plenty of excellent ways to keep your summer KEEN and GREEN! A few years ago, my husband and I took up canning. We started off with jars and jars of marinara sauce that we made to use up tomatoes – tomatoes basically took over our yard due to using our compost. Then came a variety of salsas where we made good use of some of the delicious peppers in the backyard. Then came jellies, jams, and preserves, thanks to local farms and our very own raspberries! Gotta love yogurt. Healthy, creamy, sweet, and chock full o' acidophilus. But there's one thin g about that cup of yogurt that is not to love: the containers they come in. Most yogurt comes in polypropylene (#5) plastic containers, which is not recycled in many cities. Other common items that come in polypropylene are butter, margarine, cottage cheese, hummus, and cream cheese. Indoor air can be more polluted than the air you breathe outside. Shocking, but true. And it isn’t just because you keep your windows open at night, thereby allowing the pollutants in outdoor air to waft into your house. Chemicals commonly found in each households, such as floor cleaners and insecticides also add to the growing list of pollutants that are making your indoor air quality bad. Companion planting is basically just arranging your garden so that complementary plants are near each other. This can mean different things, including plants that deter pests, attract insects, or require different nutrients to reduce competition. Most gardeners will be planting a common assortment of vegetables, so we will try to focus mostly on those you’re likely to find in any garden.